Snow Scale infesting a Naples Florida oleander bush. 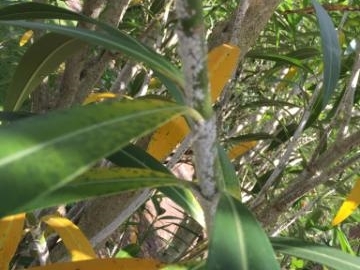 This is just part of the life of the oleander bush and is a common disease in SWFL. If this problem is not taken care of properly and in a timely manner there will eventually be branch die-back. If your shrubs are being attacked by pests or disease call us today for a free consultation and estimate.